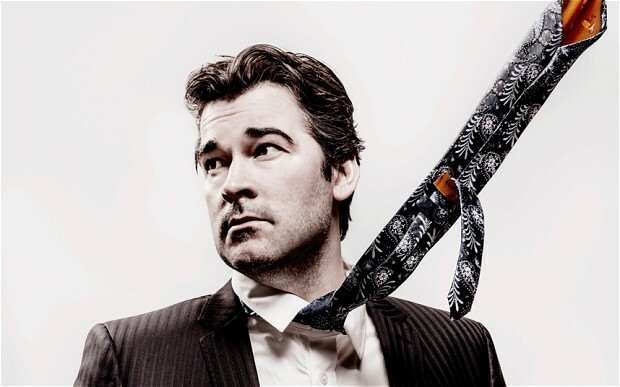 Edinburgh Comedy Award winner Adam Riches has established himself as the master of audience interaction in the past few years, developing character-based comedy shows that make the crowd part of a playful performance that embraces rather than alienates. 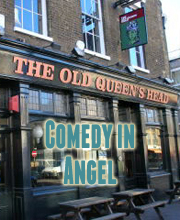 Adam is in the middle of a run of his latest brilliant show at the Soho Theatre in London where among his many characters we meet a self-aware Sean Bean, a seductive Mrs Gosling and a tattoo artist with a penchant for purple crayon. I caught an early performance in the run that was a rip-roaring success of audience engagement and hilarious interaction. To understand more about just what it’s like to contribute to such a great show I spoke to three audience members who were pulled onstage by Adam to see how they felt about being such an active part of the evening’s proceedings and how it compared to Adam’s experience. Audience work is such a fine art. Get it right and you can win over a crowd like nothing else. Get it wrong and you can lose them forever and isolate yourself completely. I think both the audience and the performer are aware of this ‘risk factor’ and that’s what creates the tension that crackles the air. In this show I have several moments where I bring an audience member into play and it’s never less than fascinating to watch how people react when they are onstage. How they choose to present themselves, protect themselves, trust me or hold me at arm’s length. Working them out, cracking their ‘code’, gaining their trust and giving them confidence is the bit I like best, especially when it works and we create a unique moment or scene together. Best compliment you can actually get for this type of stunt is that other members of the audience felt you had a plant. I mean as if you could ever write some of the things that happen! You should barely even mention them afterwards, let alone book a space to rehearse them! Mr Munro is an experienced audience member of Adam’s having seen his previous shows. He found himself in being seduced by Mrs Gosling in front of his family. “When you go onstage you wonder how much you can participate, because there is a fine line between taking part in a fun way and looking like a bit of a wally. It’s best to just go along with it and play along and not feel as if you’re being something you’re not. “This Gentleman was one of the most satisfying audience members I’ve ever had up. His ‘journey’ from when I first approached him to when he left the stage to a tumultuous round of applause was a real example of why I find participation such an exciting and interesting device. “Hayden was the first guy of the night and that’s often quite a tricky and prickly relationship to establish. The first few minutes of every live performance are about gaining the audience’s trust that you are going to be funny. Once that’s in place they can relax and you can do your stuff. So at the point I moved to Hayden, lots of things maybe hadn’t established themselves in the room or in his mind yet, so asking him to play my hair and kill a chair possibly did catch him quite cold! Matthew was involved in the final scenario of the night, which involved putting a full rain suit and eating some body hair. As you’d expect. “Sometimes when you get onstage you are just another guy, but with Adam I felt like I was performing and I was in it, so I was more worried about what I was saying. “Putting on a full rain suit, you don’t know what your role is going to be and what Adam is going to make you do. Apprehensive is probably the best word. I just didn’t know what to expect. “The last sketch of the night is in some ways I think the easiest one for both me and the audience member to perform. “The show is hopefully cooking along and everyone is onside and up to speed. That’s why typically it’s also the most demanding in terms of the situation I place them in or the act I’m encouraging them to perform. The bar is raised as the show thunders to the finish line.